Welcome to Marketing's morning briefing, a daily shot of news and a recap of the best longer reads and videos. In today's news, the ASA is coming down on gaming companies for using "pester power" techniques, Paddy Power releases positive results and brands keep sending stuff into space, we're not sure why. Gaming sites that are aimed at kids, such as Moshi Monsters and Bin Weevils, have been targeted by the ASA for employing pester power tactics to young players in order to get them to subscribe to its paid-for version. Both sites charge between £4.45 and £4.95 a month for a full version of the game. Both sites have amended their tactics based on the ASA’s recommendations but the ruling will cause an awakening for the gaming industry that may not have been aware it was being judged in the same way traditional media is. According to the FT, Moshi Monsters said: "We take our responsibilities very seriously with regards to how we communicate with all of our fans, especially children. "We have been working with the ASA to ensure that we adhere to best practice and have made changes to the Moshi Monsters game accordingly. We will continue to work with the ASA in any way possible." Paddy Power has predicted its full year results for 2015 to be ahead of market forecast after a strong interim results. The company posted a 33% operating profit growth to €80m, which it said would have been a 68% growth had it not been for almost €32m in new taxes and product fees. The company posted particularly strong results in Australia where its Sportbet brand is now the largest online brand in its sector in the market. Online performance was also strong across the board with operating profit up 45%. According to Paddy Power, mobile accounted for 67% of online revenue, with 78% of active customers transacting via mobile. The trend for sending brands into space seems to have picked up the pace this week as both Confused.com and Suntory Japanese Whisky are sending their brands into the atmosphere. Suntory is sending its product into space to test whether zero gravity impacts the "mellowness" of the drink, according to the Telegraph. 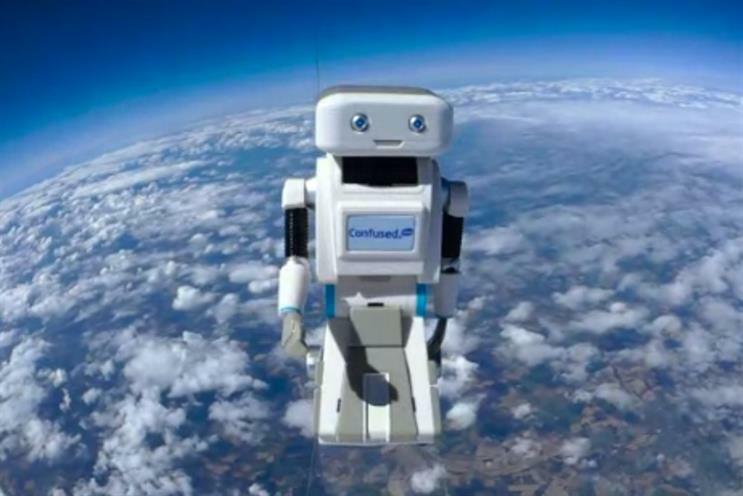 Meanwhile, Confused.com has announced that it sent its toy mascot Brian into space in celebration of the month that Neil Armstrong was born and died. The brand has released a video of behind the scenes footage of the stunt. Ashley Madison and Tinder have both been "unlucky in love" recently, with one undergoing a major site hack and the other attacked for bringing about the dating apocalypse. Here Havas Helia's CEO Tash Whitmey analyses how the pair have dealt with the fallout. Asda preceded the news of its poor financial results this week with a commitment to increase the price of milk – but that's just a diversion tactic, argues Jbird Consulting's Jemima Bird. That's symptomatic of a brand that's more widely in crisis. Watch Sam Bompas explain Bompas & Parr's "alcoholic architecture", a vaporous cloud of booze in Borough Market.